Part of the wisdom of the passion liturgies is the extent to which the congregation participates in the reading: called to our feet, we read aloud, in unison, the words spoken against Jesus and are reminded of our own complicity in actual acts of betrayal, shaming, gossiping, oppressing, crucifying, and killing in our own lives. For Christians, the crucifixion of Jesus relived each Good Friday lays bare the brokenness of the world and we are fortunate if we can recognize our own complicity in such brokenness, whether large or small, individually or collectively. What the life and death of Jesus offer Christians is that such brokenness is in part healed when we are able to discern and surrender to the will of God. So, what is it you need to die to so that you can truly live? Quite often the answer to that question is our ego, recognizing that ego is not just personal sin to be cured by personal salvation but that egos, our inauthenticities, create and sustain larger sinful social structures as we make power grabs to feed our false selves, treating the rest of creation as means to the end of getting whatever we’ve become attached to. When Buddhism teaches how best to know our true nature, the radiant, whole, complete, and perfect no-self, it begins with acknowledging our own mortality: to sober oneself to the reality that one day I and everyone I know and everyone that has and ever will live will die. I think it safe to assume that most people live each day detached from their own mortality. While we can logically know that one day each of us will die, most days we live numb to that fact, making plans and acting as though we were invincible. Nothing sobers a person to her own mortality like unexpected or violent death. 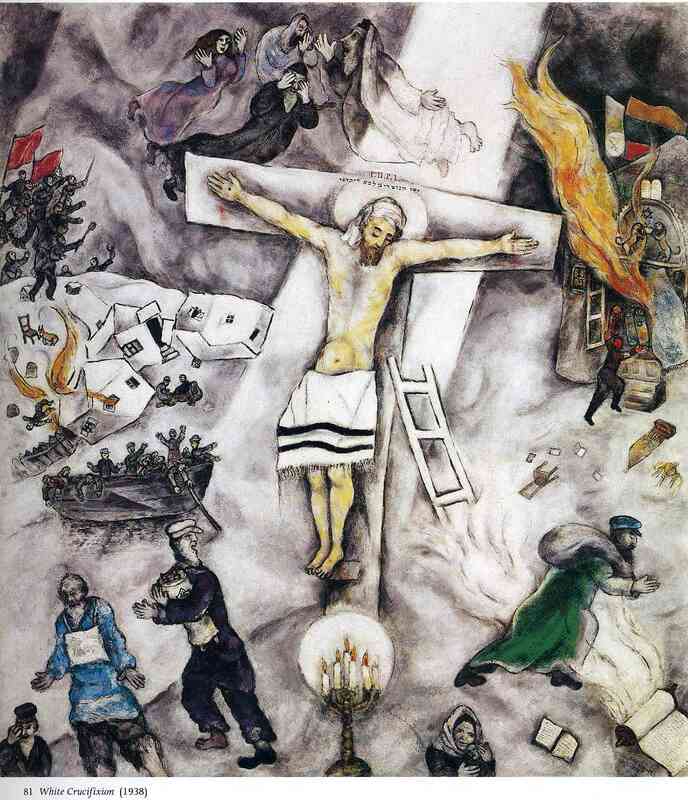 Today, as Christians around the world mark the trial, passion, and crucifixion of Jesus of Nazareth, while our thoughts may consider what it means that divine love is in part comprised of vulnerably surrendering one’s life to the point of suffering violence for the sake of living truthfully, sometimes we may simply find ourselves remembering the death we’ve known in our own lives. This winter has been filled with death for me, and always timed with snowfall. Last month, I lost two people in my life within a span of five days. I’ll write here about one of them. On March 1st, a fellow doctoral candidate in my program, a brilliant theologian, Greek Orthodox priest, husband and father of six young children was killed driving home from his Connecticut church in a snowstorm. All six children were with him in the car and all six survived, though having witnessed the violent death of their father. Their mother was home recovering from a recent stillbirth of their seventh child. Just on the verge of completing his dissertation and coming into his own, Fr. Matthew Baker passed away at the age of 37. An iconoclastic personality, he had entered our program already the world’s likely expert on the theology of Fr. Georges Florovsky. An autodidact, poet, and man of faith, he was the consummate intellectual. Matt was a rare human being who sacrificed many comforts to pursue the passions that he and his wife hoped would one day provide for their young family—and no one had any reason to doubt they would receive a great return on his many promising gifts. While I cannot say when I might have next seen or spoke to him, I was sure we would have warm collegial exchanges at some point down the road until the thread of his life was abruptly cut. It has been bittersweet to witness the outpouring of support for his wife and children: a beautiful tribute to his life and memory that, while generous, only seems to heighten the depth of his loss. How do we begin to make sense of such tragic death? One answer came three weeks later. On a beautiful snowy night, a mile from where I slept in Brooklyn, seven children from an Orthodox Jewish family died in fire sparked by a malfunctioning hot plate left on to heat food while observing Sabbath restrictions against using electrical equipment. It is the deadliest single home fire in New York City in almost seven years. Eulogizing his children, Gabriel Sassoon offered this, “There are no words. … There’s only one way to survive this: complete and utter, total surrender. Surrender. That’s it.” In the face of such suffering, one is confronted with the ineffable, an aperture into unknowing. Healing will not come for him from fighting the mystery of suffering, but from entering into it. Psychotherapy and spiritual practice both offer the opportunity to actually suffer our suffering, offsetting the ways we have become numbly unreal to ourselves. We listen for the inaudible scream, finger the invisible scar. We reach toward agony X, finding yet never fully finding, yet ever reaching toward, on and on. We fall into ravines, scale perpendicular cliffs, enter flames, and cross scorching deserts looking for the baptism of tears—the kind of tears that fall ever faster as the heart opens. The baptism of tears that transmutes the parched, torn, scorched body into a body of light, a body of breath, a body of gems, over and over and over again until the body gradually begins to retain some of its glow. It’s the work of at least one whole long lifetime. 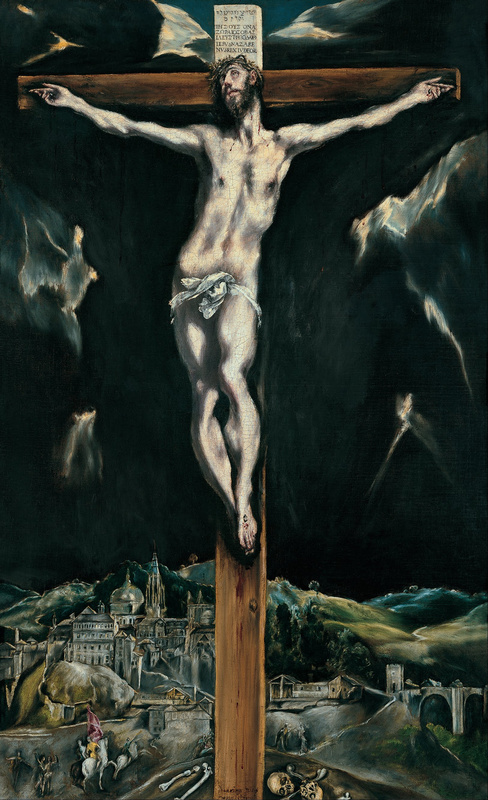 On Good Friday, while Christians remember Jesus’ suffering unto death, we bear in heart and mind that in his passion Jesus was only remembering us. His continued presence to our suffering, and our remembrance of such presence, is what returns to the world its light, breath, and glowing brilliance of love. “A few light taps upon the pane made him turn to the window. It had begun to snow again. He watched sleepily the flakes, silver and dark, falling obliquely against the lamplight. The time had come for him to set out on his journey westward. Yes, the newspapers were right: snow was general all over Ireland. It was falling on every part of the dark central plain, on the treeless hills, falling softly on the Bog of Allen and, farther westward, softly falling into the dark mutinous Shannon waves. It was falling, too, upon every part of the lonely churchyard on the hill where Michael Furey lay buried. It lay thickly drifted on the crooked crosses and headstones, on the spears of the little gate, on the barren thorns. His soul swooned softly as he heard the snow falling faintly through the universe and faintly falling, like the descent of their last end, upon all the living and the dead.” – James Joyce, “The Dead,” Dubliners. Benjamin Mueller and Kirk Semple, “Thousands Join Brooklyn Father Mourning 7 With ‘Faces of Angels’” New York Times (22 March 2015); Available online http://www.nytimes.com/2015/03/23/nyregion/funerals-for-7-victims-of-brooklyn-fire.html. Janet Pfunder, “Sufi Meditations on Psychotherapy,” in Psychotherapy and Religion: Many Paths, One Journey, Marcella Bakur Weiner, Paul C. Cooper, and Claude Barbre, eds., pp. 133-165, (Lanham, MD: Jason Aronson, 2005), 143.
òtimo post….bom trabalho para o Reino de DEUS! !